It’s never easy dealing with a dirty home, especially if you don’t have the time or tools needed to really get the job done to the level you desire. Most of the time people just put their cleaning choirs aside until it comes to a head and has to be dealt with before bigger problems arise. Does this sound familiar? Well this doesn’t have to be your reality any longer when you choose a trusted local Portland cleaning company like Clean Arrival LLC. As a local Portland woman-owned business, we’re familiar with the way things are here in the PNW. We know how long that commute home can be and the last thing you want to do is clean your house. If you’re looking for a dependable, professional cleaning company then you’ve come to the right place. Born and bred in Portland, our company provides the highest quality service on a local scale. In-touch the spirit of Portland, our mission is to simplify your life so you can enjoy everything that comes from living in one of the best cities in the Nation. At the same time, we have aimed to provide jobs for our community at a living wage that reflected our employees true worth. As a woman-owned business, my mission continues to focus on providing both best quality service to our clients while building an inviting work environment for my employees. I don’t just run the business end of things, but work alongside my employees, and therefore understand the work that goes into leaving your home sparkling clean. In doing so I can better ensure our services consistently meet the needs of our client. In addition, I have come to understand that cleaning is though work, and as such contentiously aim to pay my employees a living wage and build an inviting place of work. We offer all our Portland cleaning services on a one-time, bi-weekly, or monthly basis. You can conveniently schedule us around dates and times that are easy for you and your family or for the property that needs attention. We’ll make sure everything is thoroughly and professionally cleaned so you can focus on more important things. Recommended for regular upkeep, our standard cleans (also called maintenance cleans) aim to stop built up dirt and grime from occurring in the first place, so you can spend less time focusing on chores and housework and more time focusing on enjoying time with friends and family. Our professional house cleaners are trained to go above and beyond expectations so that each cleaning service builds upon the previous. 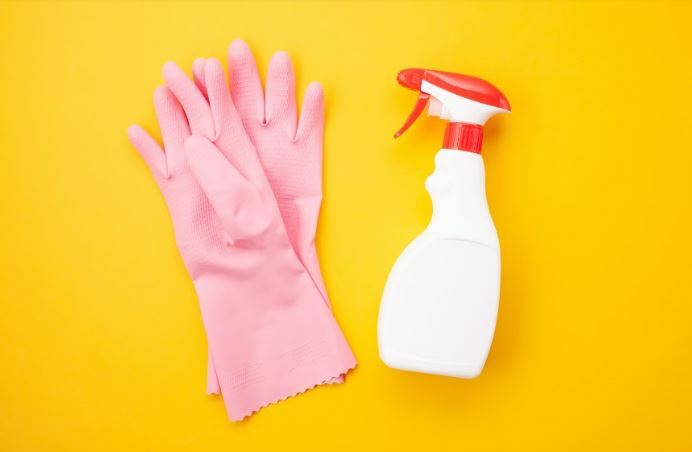 If the house or property you need to be cleaned didn’t exactly get cleaned regularly and has built up grime and dirt then you may want to consider a deep cleaning. Above all, our deep cleans focus on detail work. This means we tackle the areas of your home that often don’t get as much love such as molding, baseboards, high dusting, in addition to many of the scuffs and scratches. Considering we live in the Pacific Northwest, being green is incredibly important to many of our customers. Offering natural green clean cleaning solutions is an extension of how much we care about our planet and our community. Using eco-friendly cleaning products makes sense to us because it protects our employees, our customers, and their kids. Just because a product is “green” doesn’t mean it won’t still deliver powerful and safe cleaning even against common germs like the flu and other allergens. Our housekeeping team is a professionally trained and organized dirt destroying task force coming make your place look marvelous! Regardless of whether you contact us for a one-time clean or recurring cleans, our level of professionalism and results will always be our best. Having a big party? Spend the next day relaxing or out enjoying the outdoors with your family while we clean up the mess left behind. Are your a Realtor or Property Manager? We specialize in working with private homeowners and agents alike to bring you the best housekeeping services at competitive prices. 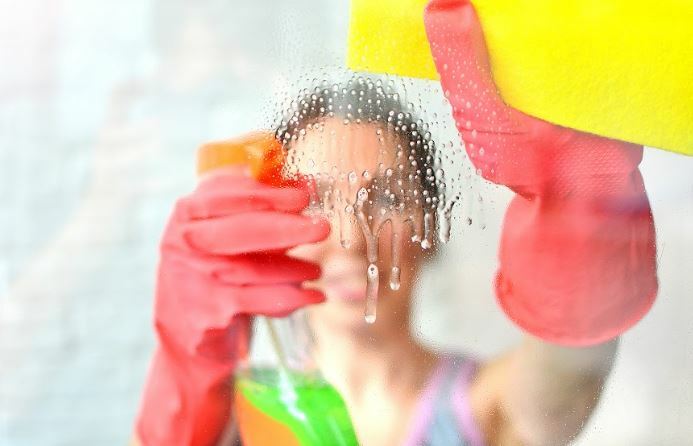 What Types of Cleaning Jobs Do You Do? We specialize in all residential house cleaning responsibilities which include vacuuming, dusting, counters, cabinets, window sills, oven, fridge and more! No matter how big or small the home is or how dirty, Clean Arrival LLC will tackle the job with ease. Our trained staff are also licensed and insured so you have nothing to worry about when it comes to getting the property cleaned to perfection. Our Portland Move In cleaning service professionals will get your new residence sparkling clean for moving in without any delay or hassles. Our top notch services specialize in making the moving process as easy as possible. We all know nobody really likes moving, it’s super stressful and just piles a lot onto your plate. The last thing you need to worry about is if the house you’re buying or selling is ready to move on time and into a spotless home. Move over mediocre maids Clean Arrival LLC has all the Portland Move Out Cleaning problems solved. Our team of efficient and friendly professional cleaners come equipped with everything you need to make your house clean as a whistle! No need to worry about how dirty your home is after moving out, we will happily meet you as soon as you’re finished loading up your belongings to clean your property. Whether you want to list your property for sale or already have renters arranged we will make sure everything sparkles. Need a house cleaned fast so it’s ready to show for potential buyers, or maybe you need to get a professional house cleaning for a home someone is about to move into. Clean Arrival LLC has our local realtors and property managers covered when it comes to providing our dependable and thorough cleaning services. We’ve worked with many local realtors to clean up their properties before a showing. After all, a home needs to look its absolute best if it’s going to sell, right? Our experienced cleaners can bring the best out of any property! When our Portland cleaning company comes to your property we come equipped with all the tools needed to leave the home sparkling for your next showing! Clean Arrival LLC should go your go-to Portland cleaning company for the best local weekly house cleaning solutions. To schedule a cleaning service visitour booking page or call us at 503-567-5404. You can also message us on Facebook or email us here.